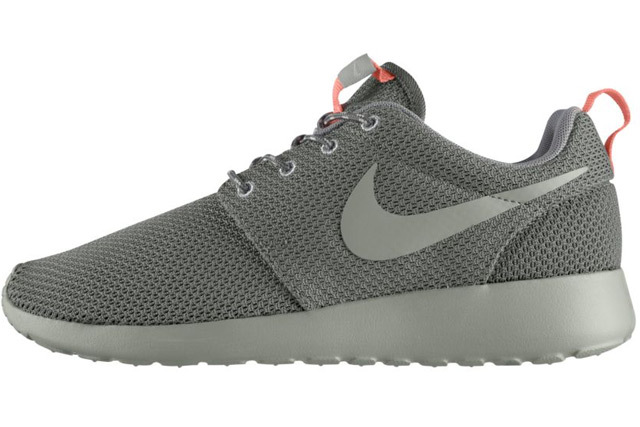 The ladies are treated to another smooth Roshe Run, sporting an everyday "Mercury Grey" color scheme. Expected to release sometime this summer, this latest look for the Roshe Run arrives in usual form with a full mesh build over a lightweight Phylon sole. Mercury grey dominates the look throughout the upper, while hits of atomic pink add the perfect amount of accent over the tongue and heel pull tabs. Stay tuned to Sole Collector for further details on the "Mercury Grey" Nike WMNS Roshe Run.